Ready to be placed on the tabletop! Based on High Quality Resin with magnetic bottom, and beautifully painted and flocked, this set includes two (2) trees. The Trees enhance your Outdoors or Urban Tiles; or can used with gaming surfaces you already own. The set is available in Green Spring, and Winter Themes. The theme specific Trees available are: Regular for Green Spring, Snow-covered/bare for Winter. 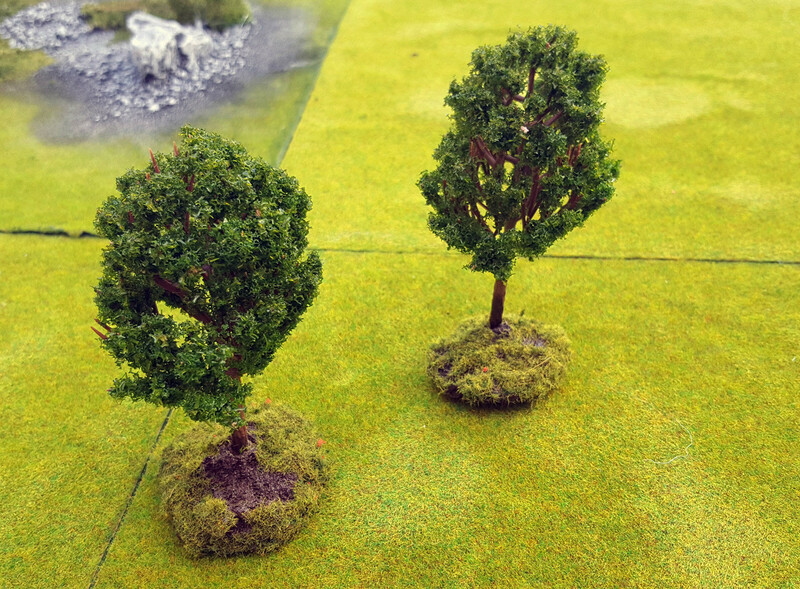 You may also choose Bare branch trees, Fruit/Orchard trees, Willow trees (all 20-28mm).